When 32 infant deaths have been associated with the Rock n’ Sleeper from Fisher-Price, why is it still on the market? You read it right, 32 infants have died while in the sleeper. The federal government and Fisher-Price issued a warning on April 5 regarding the product while safety advocates stated it was not good enough. 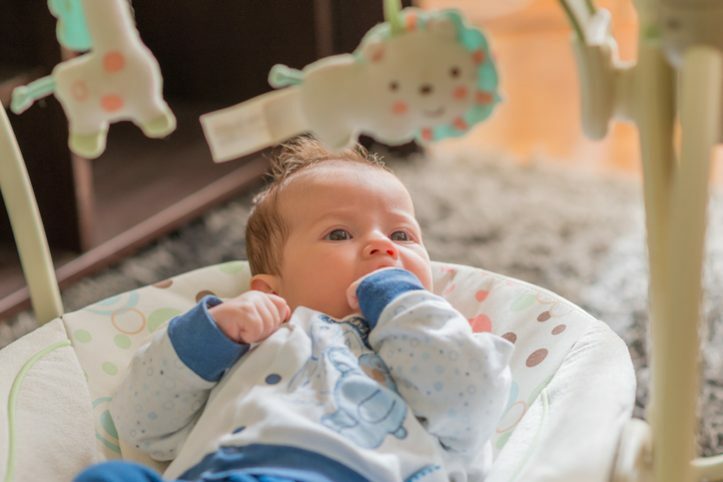 The American Academy of Pediatrics called on the Consumer Product Safety Commission to immediately recall the Fisher-Price Rock ‘n Play Sleeper. There are flaws in the design of the sleeper. For a rocker, it has too much padding and as stated by medical experts, infants should only be sleeping on their backs on a flat service free from too much padding to avoid suffocation. It is no wonder no recall has been issued being that product sales are at 4.5 billion on the popular product. There was a warning that was placed on the product to stop using the product once an infant turns 3 months old, but no recall was issued. This was is 2015 after 10 deaths were reported. Still, with no recall being issued, things escalated when reports of infant deaths were being made from babies younger than 3 months of age which is what was originally stated on the labels and in the fine print. With an infant in a car seat, stroller, swing, sling, wedge, or any other similar product, unsupervised sleep is never a good idea. The AAP and the National Institute of Child Health and Human Development have continuously counseled against letting infants sleep unsupervised in a reclined position. Looking back to regulations and labels from 1994, the basic advice has always been that babies should sleep on a level, firm surface. As an associate adjunct professor of pediatrics at Emory University in Atlanta, Roy Benaroch, M.D., who wrote a blog about the safety risks of the Rock ’n Play Sleeper, told the Consumer Product Safety Commission that parents are confused by the product at a time when they are especially vulnerable. Around January 2011, Australian regulators, for example, wrote to Mattel, explaining why they did not think the item should be marketed as a sleep product. They stated that the sleeper, “is at odds with widely accepted and promoted best practices that these types of products should not be used as an infant bedding alternative”. It has never been sold in Australia. In Canada, the sleeper was not called that, it went from the term “sleeper” to “soother”. For a parent, it is devastating to loos a loved one from a situation like this. Dealing with a death can be devastating and one does not forget an incident like that. So, what should parents do? Snellville wrongful death attorney, Darren Tobin states, “The failure to replace a broken security lock on an apartment building door, the failure to have adequate security in a crime-prone business, or the failure to install adequate lighting in a parking lot are examples of negligent conduct that contributes to wrongful deaths.” the same holds true for a company who fails to state the necessary information regarding a product that continues to cause a higher than usual death rate. The legislative director and general counsel of the Consumer Federation of America, Rachel Weintraub, stated, “In cases like these, where the product is on the market and there have been incidents associated with it, it’s very difficult to understand why the enforcement agency with jurisdiction over this product wouldn’t take action. When we know there are products that are posing risks and causing fatalities, that product in almost every case needs to be taken off the market.” Obviously, the product should not be used for regular sleep and parents should be supervising light napping in a product that is inclined and designed like the Fisher-Price Sleeper, but the company needs to take the responsibility of recalling the product and making the changes necessary to make it as safe as possible to its consumers.